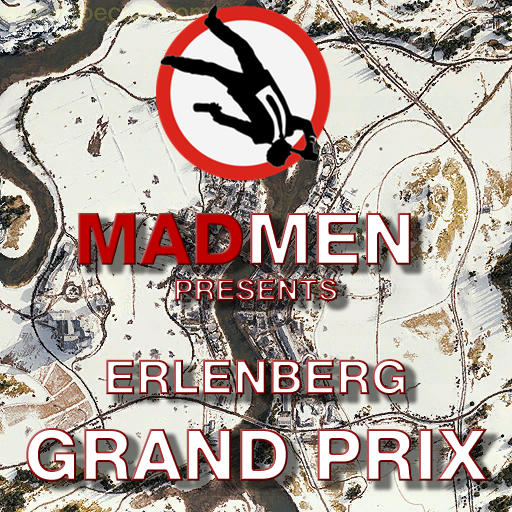 Veterans of World of Tanks may have heard of the infamous MadMen GP Windstorm event. Thirty players driving a crazy circuit around a current map where the only rule is you shouldn't shoot your fellow drivers. The winner is simply the best, craziest, maddest, luckiest driver to do the required laps. But it's open to anyone who wants to take part. All you have to do is log into the training rooms on EU2, look for the Erlenberg Map, and try and get a place. If there are too many volunteers we'll try and rotate participation. If there isn't enough people then I'll race Tajj in PZ1C's. Our resident streamer grensu will hopefully be streaming the event, and we've contacted other streamers including shishx who did the original videos to see if they're available. If you're a streamer and want to take part, then PM Tajj or myself. If there are any questions, or you want to find out the latest jump into our clan Discord. 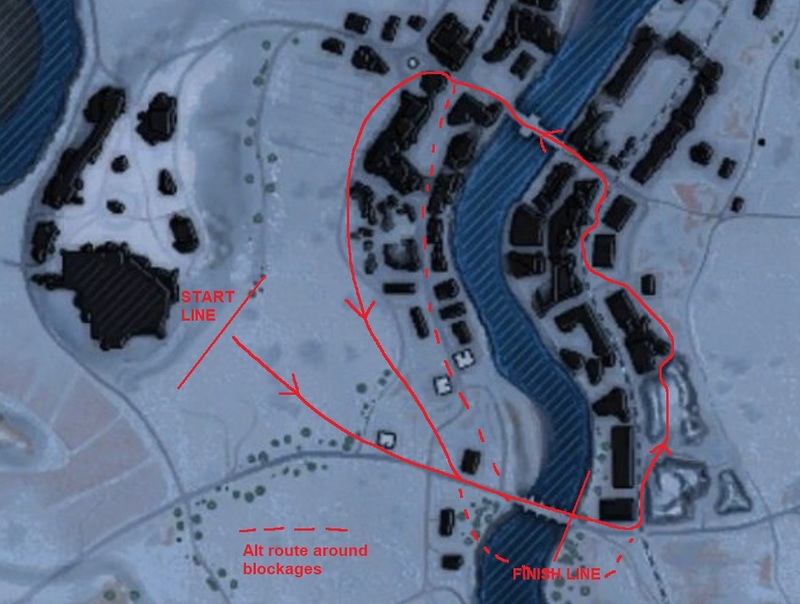 For the try-hards out there.....here's the route. Our very own eekeeboo has also provided prizes from WG for the luckiest bobs who don't crash and get around in one piece, most skilled drivers. Sunday 7 April 2019, 2200 CEST, EU 2, training room Erlenberg, and keep a watch out for grensu, Fyreon, Baldrickk or shishx streaming if you can't get a place as a spectator. There will also be at least a Premium tier VII tank of choice for one of the winners (or the gold equivalent) and hopefully other prizes as well. The events usually work through the tiers with tier 3 fast tanks, then tier 6 and tier 9 tanks. But this time we're going to introduce tier 8 wheeled tanks, which will be mayhem no doubt. Any queries, pop into our DIscord, and we'll update this thread with any news or changes. Edited by Long_Range_Sniper, 06 April 2019 - 09:35 AM. As Jakobsson said, finally some E-Sport worthy content. Dont have a Tier X, but looks like a fun event! GG MM! 'Other' Prizes will be a tier 6 premium of the persons choice and 30 days premium, the management reserves the right to award all prizes to not necessarily the race winners but maybe the best drowning or tank choice! So everyone has a chance to win. Depending on the numbers, we might have to rotate people anyway to try and give people a go. TBH it's like herding cats with a blindfold on, as there is a distinct possibility most people will be driving with beer on board! I have to keep grinding Jaegeroo. And the timing doesn't fit me. Sunday aint the bestest of beer days. But might still give the race a try. How many laps will each race be ? Watching some of our clan drive they need divine guidance. Planning on three, but this will be the first time wheeled vehicles have been involved which means all chaos might erupt! The real metric here is TPIR8 (Tanks Pushed Into the River 8 (if WN8 can have a number, so can we)). Can't wait to finish last / drown! Maybe If I steal daughter's mic? How's the judge's feels about parking a Mauschen at The northern bridge? Edited by 4nt, 27 March 2019 - 04:32 PM. Oh shoot, missed the time too. That's way too late for my working arse. Time is flexible guys, we went for 10PM CET as it's in the middle literally! It could come earlier, but we'll know closer to the date. But we'll stick with that for now. sounds like best tournament yet im in ! I have no idea in what timezone I am, but dont have work in mondaymorning so I will be there. Dont have any wheeled though in those tiers.